International Airlines Group has formally completed its takeover over British Midland from Lufthansa but the BA parent will now have to deal with the disposal of BMIbaby and BMI Regional. IAG agreed to buy BMI’s mainline operations for £172.5 million (€207 million) and will integrate parts of it into BA. But after Lufthansa failed to sell BMI’s low-cost and regional subsidiaries before the transaction completed, the German carrier will now have to accept a significantly lower price for the sale. IAG did not want to take over BMIibaby and BMI Regional and arranged a price reduction that will reflect the “costs associated with exiting these businesses”. This would “include the impact of operating them in the short term”, IAG says. “BMIbaby and BMI regional are not part of IAG’s long term plans and will not be integrated into British Airways”, the company reiterates. Lufthansa says the acquisition price will be finalised by the end of June. This will be “clearly negative”, but the loss would be amortised “within a year”, the German airline adds. German turnaround specialist Intro Aviation, which had emerged as possible buyer of the BMIbaby, earlier this month said negotiations had ended after Lufthansa rejected its non-binding offer for the budget carrier. Part of the takeover agreement is that BMI’s defined benefits pension fund will be transferred to a UK holding company outside BA. Lufthansa will make a £84 million payment into the new fund to compensate part of the employees’ losses in benefits. 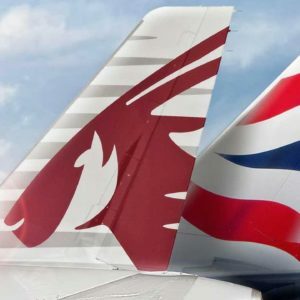 In order to take over BMI, the European Commission ordered IAG to give up 14 daily slot pairs at LH and carry transfer passenger for competing airlines at the UK’s main hub. However, the group’s slot portfolio at LH will still grow by an average of 42 daily slot pairs. Rival UK carrier Virgin Atlantic, which had also bid for BMI, earlier this month said it was appealing the European Commission’s decision to approval the sale to IAG.